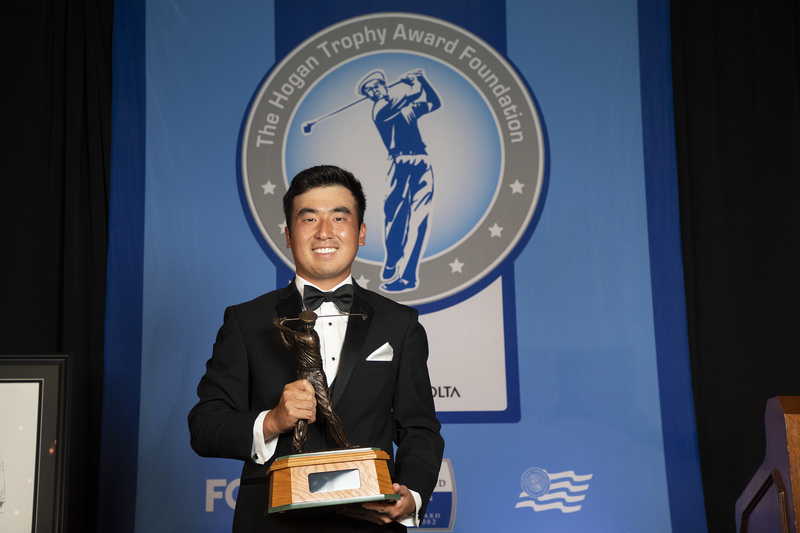 FORT WORTH, Texas (May 3, 2018) – The Hogan Trophy Award Foundation, Friends of Golf (FOG) and the Golf Coaches Association of America (GCAA) have announced that Texas senior Doug Ghim, California junior Collin Morikawa and Ole Miss junior Braden Thornberry are the three finalists for the 2018 Ben Hogan Award presented by Konica Minolta Business Solutions U.S.A., Inc. (Konica Minolta). All three are first-time finalists, and each would become his school’s first Hogan winner since the award moved to Colonial Country Club in 2002. 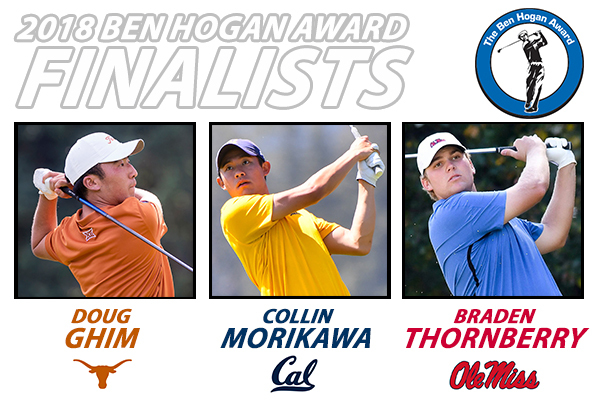 Ghim joins Jordan Spieth (2012) and Beau Hossler (2016) as finalists from Texas, while Morikawa follows Michael Kim (2013) as the second from Cal, and Thornberry becomes Ole Miss’ inaugural finalist. 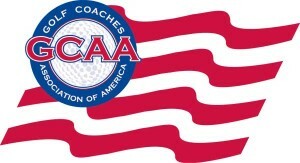 The award is given annually to the top men’s college golfer taking into account all collegiate and amateur competitions over the past 12 months. The Ben Hogan Award selection committee is made up of two dozen leaders and experts in amateur, college and professional golf. In order to determine the finalists, each committee member cast a ballot that ranked the group of 10 semifinalists from 1-10. Ghim is listed among the top 10 in all four major ranking systems, including No. 1 in the Scratch Players World Amateur Ranking. He stands third in the World Amateur Golf Ranking and is No. 10 in both the Golfweek/Sagarin Ranking and Golfstat College Ranking. Last month, Ghim earned the Silver Cup as low amateur at the 2018 Masters Tournament after finishing 50th. He was the only amateur to make the cut. The native of Arlington Heights, Ill., was the 2017 U.S. Amateur runner up in an epic 37-hole final match. Ghim made his run to the final after tying for eighth place during stroke play. He also combined to post a perfect 8-0-0 record for Team USA last summer during the Walker Cup and Arnold Palmer Cup competitions. 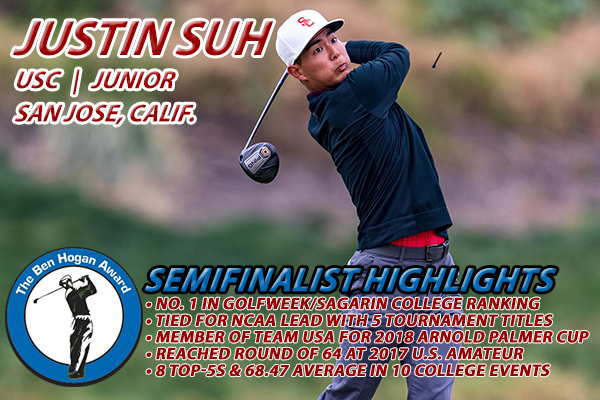 In addition, Ghim was the 2017 Pacific Coast Amateur champion and won the 2017 Sun Bowl Andeavor College All-America Golf Classic with a tournament record-tying 18-under total of 195. In college play, the All-Big 12 selection owns a 70.04 college scoring average over 25 rounds in 2017-18. 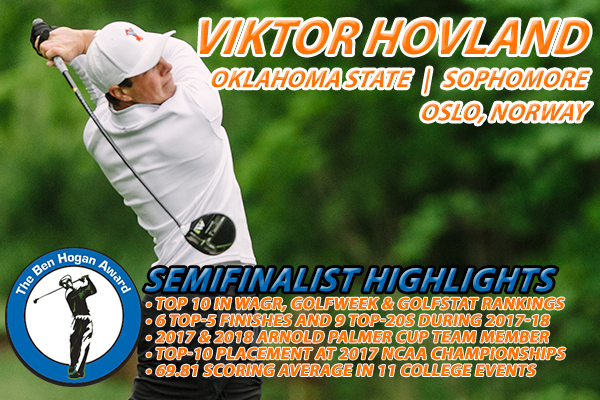 He picked up a pair of wins, claiming medalist honors at the Big 12 Championship and the Golf Club of Georgia Collegiate. In all, Ghim has five top-10 finishes this season and has placed in the top 20 in seven of eight events. 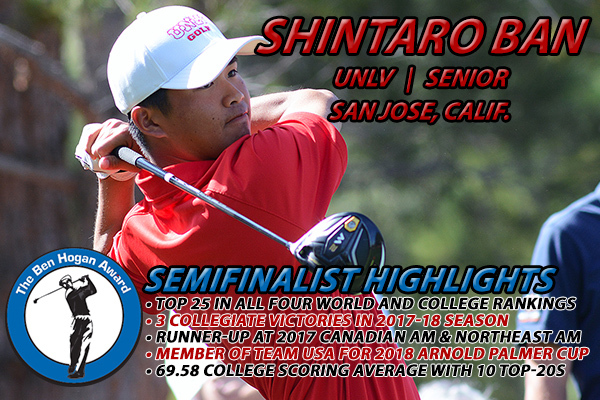 Morikawa is currently first in both the World Amateur Golf Ranking and Golfstat College Ranking. In addition, he is No. 2 in the Golfweek/Sagarin Ranking and third in the Scratch Players World Amateur Ranking. He is the only golfer inside the top five in all four ranking systems. Playing in the PGA TOUR’s Arnold Palmer Invitational in March, he made the cut and finished in a share of 64th place. 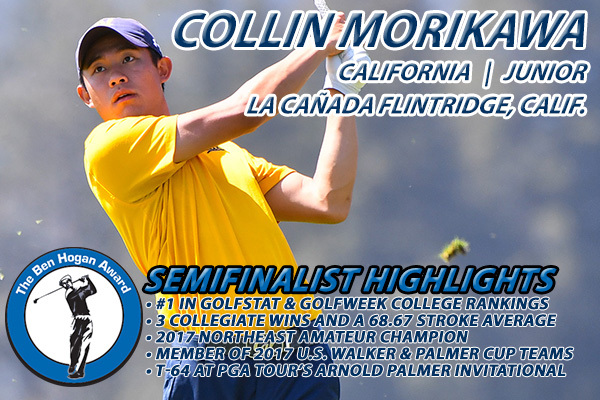 Morikawa was the 2017 Northeast Amateur champion and finished runner up at both the Sunnehanna Amateur and Trans-Mississippi Amateur last summer. Additionally, he reached the match play round of 16 at the 2017 U.S. Amateur after tying for eighth place in medal play. The product of La Cañada Flintridge, Calif., posted a 4-0-0 record for victorious Team USA at the 2017 Walker Cup and also played on the 2017 Arnold Palmer Cup team. He owns three collegiate victories this season, winning the Western Intercollegiate, Wyoming Desert Intercollegiate and Querencia Cabo Collegiate, where he shot 197 and broke the school and course 54-hole scoring record. Morikawa owns a 68.65 scoring average over 10 events, and 21 of his 31 rounds have been in the 60s. The junior has placed among the top 10 in eight of his 10 college tournaments and has been inside the top 20 in every event. 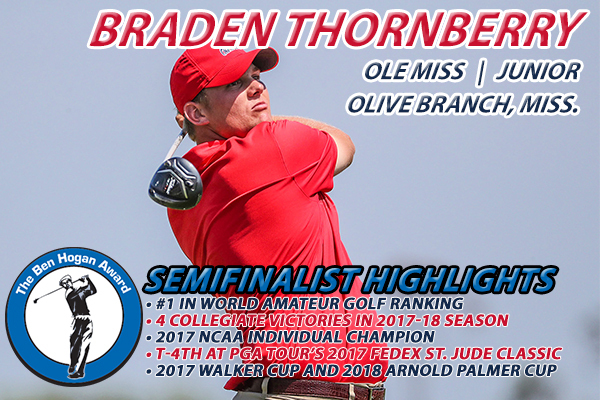 Thornberry is ranked second in both the World Amateur Golf Ranking and Scratch Players World Amateur Ranking. Additionally, he is among the leaders in the Golfweek/Sagarin Ranking (No. 8) and Golfstat College Ranking (No. 12). Thornberry tied for fourth place at the PGA TOUR’s FedEx St. Jude Classic in 2017, the highest finish by an amateur at the event since 1965. He also made cuts at the PGA TOUR’s 2017 RSM Classic (T61) and the Web.com Tour’s North Mississippi Classic (T22). Thornberry was crowned the 2017 NCAA individual champion after cruising to a four-shot win with a four-round 277 (-11). He followed that up with a victory in a playoff at the 2017 Sunnehanna Amateur. The native of Olive Branch, Miss., also reached the round of 32 at the U.S. 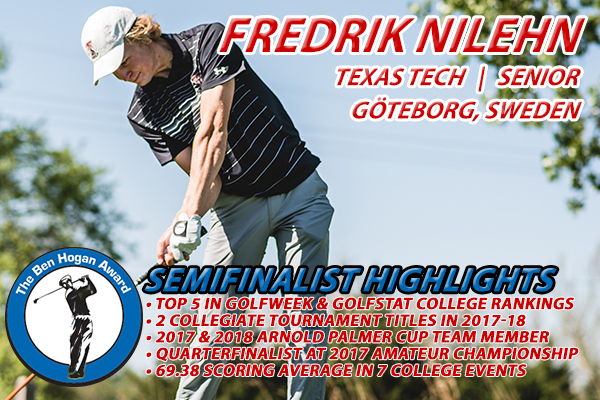 Amateur and won a pair of matches for winning Team USA at the Walker Cup last summer. Thornberry also had top-10 placements at the 2018 Jones Cup Invitational, 2017 Pacific Coast Amateur and 2017 Patriot All-America. 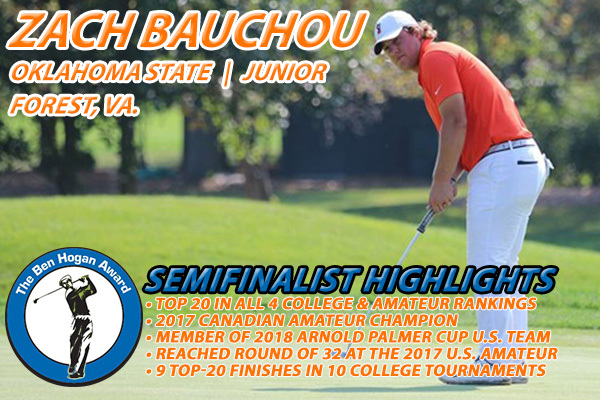 As a collegian in 2017-18, he has won four times, taking the Shoal Creek Intercollegiate, Franklin American Mortgage Intercollegiate, Hootie at Bulls Bay and Old Waverly Collegiate Championship. In addition, Thornberry owns seven top-5 finishes and nine top-20s in 11 college events with a 69.88 scoring average over 33 rounds. The three student-athletes will attend a black-tie dinner at Colonial Country Club on Monday, May 21, where the winner will be presented the trophy from 2017 Ben Hogan Award winner Maverick McNealy. This year’s recipient will receive the first exemption into the PGA TOUR’s 2019 Fort Worth Invitational. Since 2002, the Hogan Trophy Award Foundation has awarded more than $700,000 in scholarships to over two dozen schools. This year, $92,000 in grants will be distributed, with $32,000 going to the winner’s university, $16,000 to the two finalists’ schools and $4,000 to the seven semifinalists’ universities. 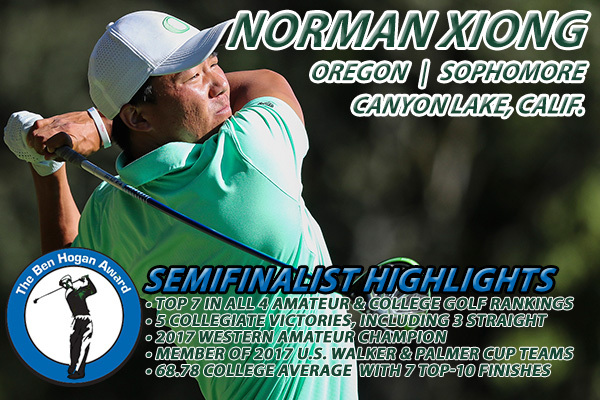 In addition to Ghim, Morikawa and Thornberry, this year’s semifinalists also included: Shintaro Ban (UNLV), Zach Bauchou (Oklahoma State), Viktor Hovland (Oklahoma State), Theo Humphrey (Vanderbilt), Fredrik Nilehn (Texas Tech), Justin Suh (Southern California) and Norman Xiong (Oregon). The Ben Hogan Trophy was first issued in 1990 by FOG at Bel-Air Country Club in Los Angeles and also included academic achievement in its original list of standards. In 2002, the Ben Hogan Award moved to Colonial Country Club in Fort Worth, Texas, Hogan’s hometown and the site of five of his PGA TOUR victories. At that time, it revised its criteria to its current standard of honoring the outstanding amateur and collegiate golfer. In 2005, the tradition of inviting the three finalists began. Winners of the Ben Hogan Award include seven golfers currently ranked in the top 100 in the Official World Golf Rankings (OWGR)—No. 3 Jon Rahm (2015, 2016), No. 6 Rickie Fowler (2008), No. 34 Patrick Cantlay (2012), No. 48 Kyle Stanley (2009), No. 61 Ryan Moore (2005), No. 66 Peter Uihlein (2011) and No. 79 Bill Haas (2004). Other recipients include: Ricky Barnes (2003), Matt Every (2006), Chris Kirk (2007), Hunter Mahan (2003), McNealy (2017), Patrick Rodgers (2014), Nick Taylor (2010), D.J. Trahan (2002) and Chris Williams (2013). Since the committee began inviting all three finalists to Colonial Country Club in 2005, notable finalists include six players currently inside the top 100 in the OWGR—No. 4 Spieth (2012), No. 50 Russell Henley (2010), No. 85 Jorge Campillo (2009), No. 87 Hossler (2016), No. 88 Ollie Schniederjans (2014) and No. 95 Jamie Lovemark (2008). A limited number of seats for the dinner remain. To purchase, call Jimmie Whitt at (817) 972-4280. The banquet will also be streamed live on TheBenHoganAward.org beginning at 8 p.m. (CT). Konica Minolta Business Solutions U.S.A., Inc. is reshaping and revolutionizing the Workplace of the Future™ (www.reshapework.com). With our comprehensive portfolio, we deliver solutions to leverage mobility, cloud services, and optimize business processes with workflow automation. Our All Covered IT Services division offers a range of IT strategy, support, and network security solutions across all verticals. Konica Minolta has been recognized as the #1 Brand for Customer Loyalty in the MFP Office Copier Market by Brand Keys for 11 consecutive years and is proud to be ranked on the Forbes 2017 America’s Best Employers list. Konica Minolta, Inc. has been named to the Dow Jones Sustainability World Index for five years in a row. We partner with our customers to give shape to ideas and work to bring value to our society. For more information, please visit: www.CountOnKonicaMinolta.com and follow Konica Minolta on Facebook, YouTube, and Twitter @KonicaMinoltaUS.